As I mentioned before I haven’t worked with the Arduino family much since I tend to be working on different processors than 8-bit ATMega chips. Recently I have been playing around with an Arduino Yun for a client and had a chance to explore the features of this microcontroller + Linux SOC board. First I want to say that I think pairing a microcontroller with a Linux SOC is a great idea. The micro allows for very fast and accurate data sampling and GPIO control while the Linux SOC deals with all the networking and file system stuff using the Linux OS. So far I think the Yun is pretty good but there are a few things that are really frustrating. First, the Arduino IDE and toolchain. I don’t like the fact everything is hidden and you MUST use the Arduino IDE (yes, even for command line compilation). You can’t use Makefiles and the gcc stuff is all tucked away so you can’t see it, and thus can’t modify it easily. Also each ‘sketch’ must be an *.ino file which is a pain in the rear if you are using a C editor like Eclipse. 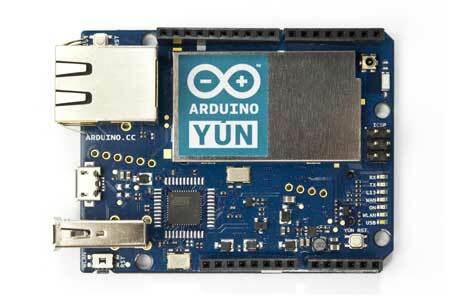 This isn’t so much a Yun issue as a limitation with the Arduino way of doing things. Personally I find a raw gcc binary and a USB programmer to be much better, but that’s what I learned on. The other thing I dislike is the way the networked “Console” is implemented in the Yun. The Console is a way of sending text out to a PC, similar to the USB serial port on other Arduinos. The issue with the Yun, is to get the text you have to SSH into the device and then do a telnet to a locahost port. Honestly I can’t really think of a better way to get debug information out wirelessly, but it’s really clunky. I am going to be looking into using the USB serial port rather than the Console because it’s much simpler. My final issue is that it takes >60seconds to get the Linux part of the Yun up and running. Why!? I have a RaspberryPi that boots in <10seconds, how can a 16M Linux install with only about 30 entries in the ‘ps’ output possibly take 60 seconds to boot? I’d also like to know what happens to the Linux system when you pull the power, hopefully I don’t run into some kind of config file truncation due to power loss in the middle of a flash write (Yes, I have dealt with that before). I’m not a total hater. I do like the fact that you can write a file on the Linux part of the Yun without writing an entire file system for the ATMega. The project I am working on reads lots of values and logs them to files which are then post processed. Having gigs of space on a SD card is great for logging lots of data over time. Also, since the Yun uses SSH, you can SCP and SFTP files off the Arduino wirelessly which is a really nice way to collect all that data. It’s also worth noting that you can update the firmware via WiFi right from the Arduino IDE. This is a really nice feature for once a system is deployed since it might be in a really difficult to access location. The issue with the WiFi update is that is seems really slow, on my limited tests it takes over 60 seconds to program which can really slow down my code-test-update cycle. I would recommend programming via USB for development and WiFi if you need it for production. The summary is that while the interface and access is a little clunky, the Yun is pretty good little platform if you need a networked microcontroller to collect lots of information.